Our Perm/Peel Pads are an ideal product for all in-store display applications, where removal of a product with zero adhesive residue is vital. 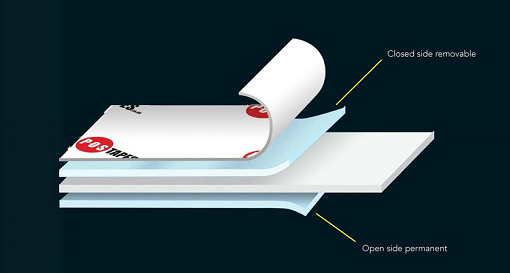 This unique double sided foam pad features a removable adhesive on the closed side and a permanent adhesive on the open side. The permanent adhesive side provides high deposition and can therefore be adhered to the most structured or textured surfaces while the removable adhesive side provides good initial re-positioning and a long term clean peel removability even after extended periods in situ. This is perfect for getting your company’s logo or details printed onto the release liner - why not try it? For samples so you may carry out tests or for further information contact the POS Tapes Team on +44 (0)191 2697810 or email us at sales@postapes.co.uk. Alternatively you can visit our website to find out more about all of our products by clicking here.